Begin your weekend to an End at The Legendary Cafe Wha? in NYC for a lively Latin music fiesta starring The Rumberos. 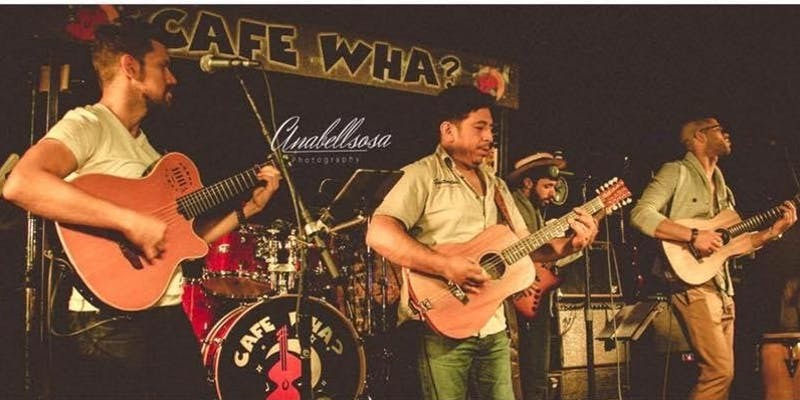 This energetic quintet of musicians from around the world specializes in performing songs from bands with a strong Latin influence, among them Buena Vista Social Club, Gypsy Kings and Santana. The Rumberos are sure to stimulate your musical senses when they perform live.